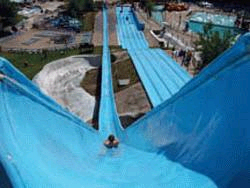 Enchanted Forest/Water Safari is New York's Largest Water Theme Park. Over 50 rides & attractions! 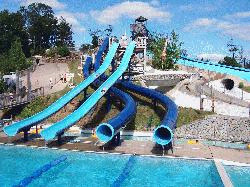 And featuring 32 heated water rides. Click the links below to learn more about all of the rides and attractions the park has to offer! 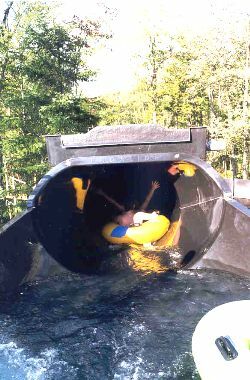 The Enchanted Forest Water Safari is New York's Largest Water Theme Park with over 50 rides & attractions! With all the 'get wet' action of our 32 heated water rides, the thrill of our classic amusement rides or the fun filled experience of our themed attractions, there's something for every member of your family! Celebrating 64 years of operation in 2018. Child tickets, ages 3-11, are regularly $30.95+tax at the gate. Children ages 2 and under are free. Enchanted Forest/Water Safari tickets are not returnable. All sales are final. Paper tickets from my Better Benefits ordered by mail with check or money order. $29.00. No tax. Paper tickets must be mailed so please allow 2-3 days for shipment once we receive your order. Pay for these tickets by check or money order. Paper tickets from my Better Benefits when you pay with a credit card. $29.50. No tax. Paper tickets must be mailed so please allow 2-3 days for shipment. Processing fees apply. E-tickets direct from Water Safari (more convenient option than #1 above but slightly more expensive: $30.50 + 0.63 tax = $31.13. You may print these tickets at the end of your transaction for immediate use. Looking to camp at Old Forge Camping Resort or stay at the Water's Edge Inn? 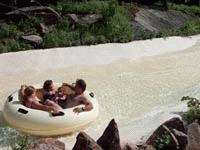 The Enchanted Forest Water Safari occasionally makes savings available for stay and play packages. You'll generally find the pricing on tickets above to be the very best you can find but lodging discounts might be available here.